Week 4 has come and gone with noticeable improvements in overall strength and conditioning. This stuff actually works. I focused on increasing weight in just about every exercise now that I've gained some baseline strength with the workouts. 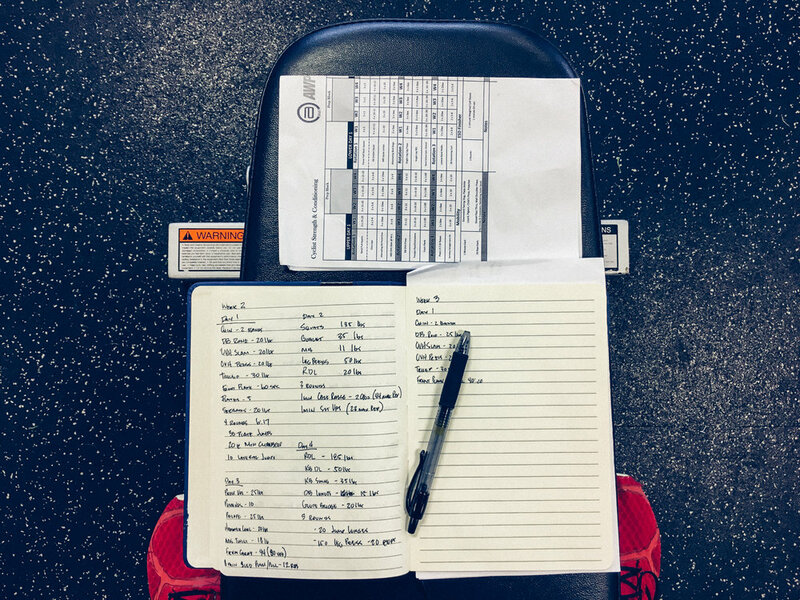 The first few weeks, I just focused on making sure I was executing the workouts as they were suggested with enough weight to be challenging, yet doable throughout all the sets. One of the workouts that illustrate progression well is a one-leg RDL where you have a dumbbell in one hand and then essentially try to hit your opposite ankle in a one-leg squat. The first week or two, I had to stabilize myself and the past two weeks, I'm able to do 8 reps unassisted. Small gains in core stability. Glad to see some overall baseline strength forming, which has been missing for me in years past. Most years, I struggle more in early year base miles with core and upper body fatigue than being able to put in the miles. So, I'm looking forward to seeing how I feel come March when I'm starting to do 50-60mi rides regularly. As I mentioned in previous posts, early season goals revolve around weight loss for me. Hoping to loose around 30lbs this year. 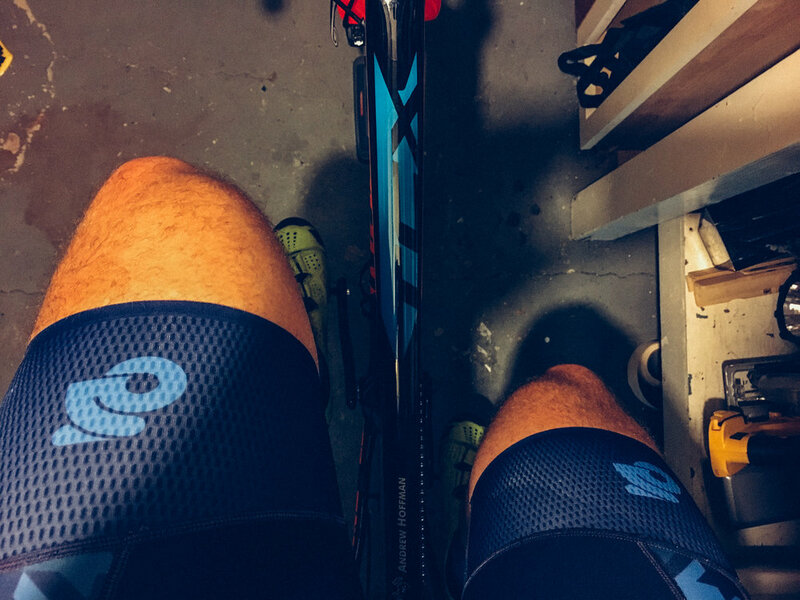 Spending money on training and better nutrition to loose pounds rather than grams through bike gear purchases to get fast is far more important. Expect some additional thoughts on this in a future post. I lost 30lbs four years ago and have kept it off since then, and want to do that again with the hope of finding a better weight for the long-term that is sustainable, feels right, and ultimately makes me a faster bike rider just because I'm not dragging another 30lbs over my peers down the road. Since I've lost some weight in years past, I have a general idea of what works for me, but it's just general based on trial and error. What I do know is that calorie tracking is a must through apps like MyFitnessPal, and by setting pretty stout calorie goals in order to force my brain to commit to it without compromises. Since the first of the year, I've been tracking the calories and have set a goal of 1,500 calories a day. That's at the bottom of what is reasonable and recommended for me, and ultimately what I need to do to try to get a good start towards 2lbs a week. Do I think that's sustainable long-term, not really. But, I don't want to limit myself long term either. What I do know is that the right amount of calories is up to the individual and should always be consulted with a registered dietician or doctor, which I've done. This week I met with Christine Sorg, registered dietician at PSM. Getting a one-on-one with Christine is part of the program they've designed at PSM, and I most certainly wanted to meet with her because nutrition has always been a trial-and-error process with me. I have a working knowledge of overall dietary suggestions and what a balanced diet should be. I also know that your body burns so many calories a day and if you want to loose weight, eat less that that. But, I had some specific questions regarding what has worked for me in the past, what happens when its not working, and what I could be doing differently to go over with her. Essentially, I needed some professional advice to clear or focus the thought processes in my head. 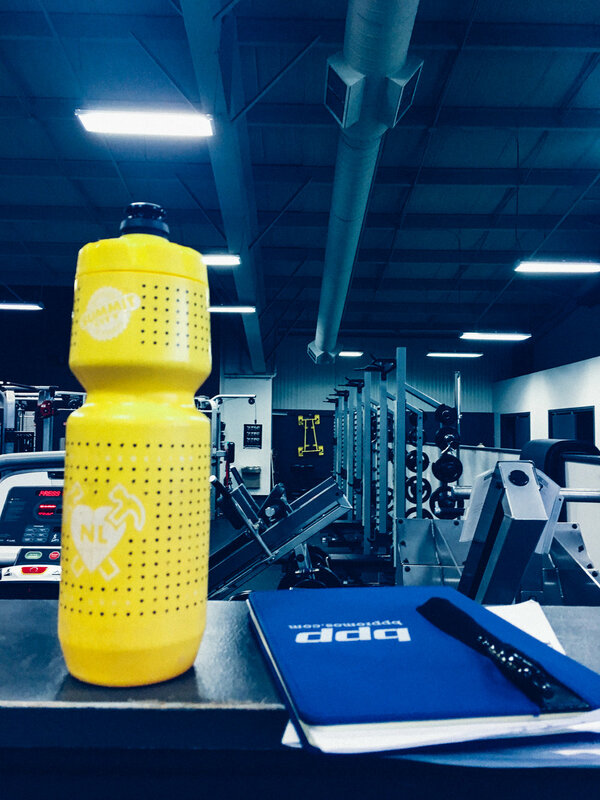 After providing a history and a 3-day food journal, we dived into a conversation about nutrition as an endurance cyclist and my needs specifically. It was a helpful back and forth conversation about my needs and concerns. I discovered that I was not anywhere close to the recommended 100oz of water I should be drinking every day. I knew I was likely not drinking the recommended, but I was getting maybe half of that. Plenty of room for improvement, and 100oz of water is a LOT! Who drinks that much every day? Props to you if so. I'm all in for getting there. Christine came to our meeting recommending that I be at around 1900 calories a day in order to loose the weight I wanted over the time frame I had in mind in consideration of the workouts I am doing, but agreed that 1500 wasn't a bad number either, just may be leaving me hungry. I honestly haven't seen as much weight loss as I was hoping since committing to that number, and we talked about that. There is a possibility that I could be under eating which could impact the weight loss. I don't understand all the details of why that could be, but trust Christine's expertise. We discussed some ways to experiment and track the differences. I'll be finishing up this week with the goal of hitting 1500 calories and if I don't see progress, I'll spend a week or two getting closer to that 1900 by eating some of the recommended things in my diet that were missing because of the reduced calorie intake. By the way, anyone else monitor their calories? 1500 calories proves to not be that much food. The good news with all of this is that I like eating good, "healthy" food as much as I like eating terrible food. I've always kind of felt like I eat 85-90% well and like I should, but that other 10% is just terrible. Here's to committing to eat way less terribly delicious food in favor of eating better. In the end, week 4 is wrapping up well and I'm encouraged about progress. 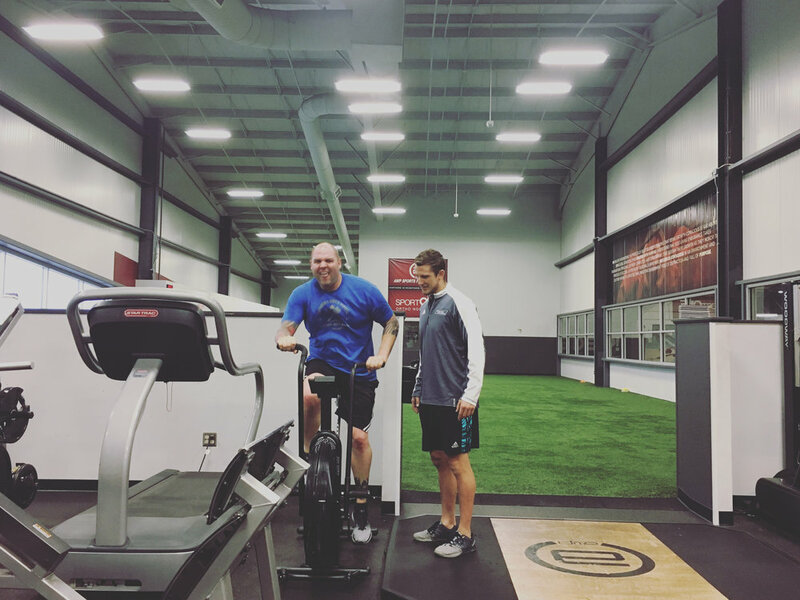 I start the second 4-week training block next week that will change up my workouts to include some higher intensity, focused power efforts, and increase some cardiovascular efforts. One other exciting thing this week was to to see two other Team NeighborLink athletes start the program. Thanks Mark and Ben for joining me in the journey.